Screen shot from viral YouTube video "The Janitor was right"
The janitor from hit US TV show Scrubs correctly predicted in February 2007 that the US should be looking for Osama bin Laden in Pakistan. A clip of this prediction has gone viral on YouTube, attracting over half a million views in two days. Scrubs was an American comedy series starring Zach Braff about the staff at a hospital that ran from 2001 until 2010. Throughout the series many of the jokes revolved around the often volatile relationship between doctor John Dorian or J.D. (Zach Braff) and the hospital's intimidating custodian, referred to only as "Janitor." 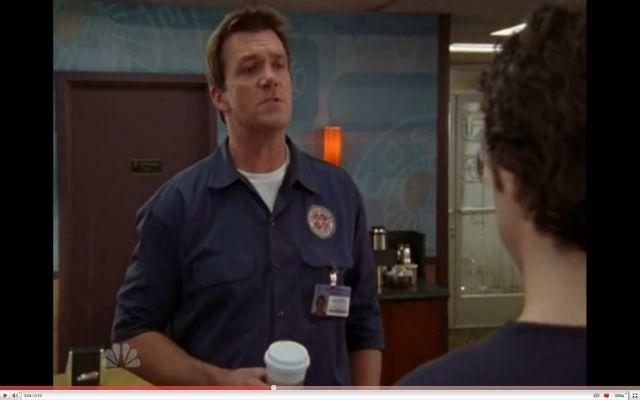 The 10-second clip titled "The Janitor was right" is taken from Scrubs season 6, episode 7 -- "His Story IV" -- and, following a debate on the Iraq war, shows the janitor saying to J.D., "In my opinion we should be looking for Bin Laden in Pakistan." The clip was uploaded to YouTube on May 2 and as of 3:30pm GMT May 4 had attracted 715,766 views and been featured in UK media outlets such as the Metro (online version) as well as numerous blogs and forums around the world.